“Criminal Minds” Season 7 might not the best in the series, but considering the hole the producers had to dig out of with the whole Paget Brewster situation, they did a fine job with a reset buttons of sorts. The season also offers up some nice character development for each member of the team to go along with new cases. When we last left the team at the FBI’s BAU (Behavioral Analysis Unit) in the sixth season, about half way through Agent Emily Prentiss (PAGET BREWSTER) was dealing with some, let’s say, person issues. A bad man from per past has come back for revenge leaving bodies in his wake including Prentiss herself who apparently died. In an epilogue to her finale, we find Prentiss alive and well in a green-screened Paris backdrop where fellow Agent Jennifer “JJ” Jareau (A.J. COOK) gives her a new identity. Taking her place was a woman named Seaver whom fans didn’t care for, although she did have an interesting background; no point in going on about her since she was writing out of season 7 with one line. In any case, the producers realized they made a grave error in getting rid of two great and popular actresses – the other was AJ Cook who came back after being unceremoniously dismissed in the second episode of season 6 before returning for a couple more towards the end – and decided to rectify the situation by bringing both back. In doing so, the team dynamic is better than ever in this seventh season. 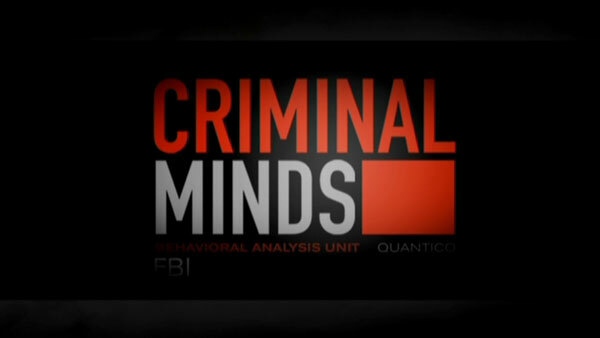 Season 7, told through flashbacks, opens with the BAU — which includes, along with Prentiss and JJ, team leader Aaron Hotchner (THOMAS GIBSON), David Rossi (JOE MANTEGNA), Derek Morgan (SHEMAR MOORE), Dr. Spencer Reid (MATTHEW GRAY GUBLER) and computer genius/goddess Penelope Garcia (KIRSTEN VANGSNESS) — now in front of a Senate Committee investigating the death and eventual apprehension of her supposed killer, Ian Doyle (TIMOTHY V. MURPHY) but something more is going on as it’s revealed that Prentiss helped hide Doyle’s kid who is now in danger from some of his enemies. In order to save the kid, Hotch and JJ call Prentiss back in much to the shock of the rest of the team. Her reappearance and rejoining to the BAU, there are some hard feelings aimed primarily towards JJ from Spencer not only for keeping it a secret but allowing him and the others to believe Prentiss was dead and the grief they went through. It’s a nice touch and while this whole storyline is basically dropped in just one episode, it’s done well enough in spite of how the show’s producers handled Brewster’s departure. The rest of the season is fairly routine, case-of-the-week plots with a bit of character development thrown in to at least give them some growth throughout the 23-episodes (i.e. 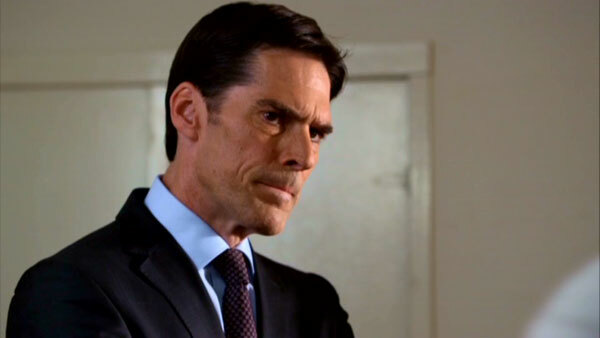 Hotch finally getting back on the wagon as he meets a new woman). I can’t really say any one episode stood out, though I consider ‘Painless’, ‘Hope, ‘Snake Eyes’, ‘The Company’, ‘Profiling 101’ and the two-part season finale, ‘Hit’ and ‘Run’ are the best in this set. The six discs are contained in 3 slim cases set in an outer slipcase. Painless Minds’ Eye: Implosion (5:18) takes a look at the episode and contains interviews with the cast and crew intermixed with behind-the-scenes footage. Minds’ Eye: The Fall (3:55) and Minds’ Eye: Twisted (7:12) are two more short featurettes showcasing how the episodes ‘From Childhood’s Hour’ and ‘There’s No Place Like Home’, were filmed and goes through much of the plot. Deleted Scene (1:39) – The scene excised or reduced from the episode ‘From Childhood’s Hour’ doesn’t offer much more insight into the story or characters. Minds’ Eye: Bloodlust (6:12) again takes the viewers behind the scenes and gets the thoughts from producers, writers, actors, etc. about the episode, ‘The Bittersweet Science’. Deleted Scene (0:43) – This scene from ‘Unknown Subject’ is too short to make any difference. Audio Commentaries – Not easy to find (the back cover doesn’t state where the commentaries are), the track for ‘Heathridge Manor’ features Actor/Episode Director Matthew Gray Gubler and Co-Executive Producer/Writer Sharon Lee Watson while ‘The Company’ has Actor Shemar Moore and Supervising Producer/Writer Breen Frazier. The first track is a bit looser while the second tends to be more on the serious side, albeit both provide information about their respective episode. Minds’ Eye: Devil Inside (9:35) is more of the same like the others, though a tad more detailed including Gubler who tells us about his experience on the episode, ‘Heathridge Manor’. Deleted Scenes (2:29) are offered up for ‘Heathridge Manor’, no doubt for time concerns. Fireside Chat with Matthew Gray Gubler (4:04) is a funny interview, the actor/director gives some insightful comments on the episode… or not. It shows off Gubler’s darker comedic side, something that’s been gleaned at on the series, not too much in the Chipmunks movies. Minds’ Eye: Too Big To Fail (8:13) checks out the double-episode season finale, ‘Hit/Run’. Nothing special once again but anyone interested in the BTS aspects might get something out of it. Wedding Toasts (4:55) has the actors, in-character, giving well-wishes to Will and JJ. Seven Stories (28:16) is the most extensive featurette on the set. 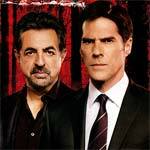 It’s basically a recap of some of the major storylines or character moments for the entire season, including the return of Prentiss, and features more interviews with the cast and crew. Wheels Up (2:33) is a mock hip-hop music video for a song as the cast appear throughout mouthing the words, “wheels up”. The highlight is Paget Brewster and A.J. Cook do a little booty shake; short but sweet. Gag Reel (5:22) – No TV set would be complete without a gag reel where the cast screws up lines or timing. “Criminal Minds” arrives on the scene loaded with hot women, stoic men and one nerd. Presented in with a 1.78 anamorphic widescreen transfer, the show looks more or less the same as the original broadcast. The picture seems to be clear and only a minimal amount of standard artifacting. The colors are well balanced, however, and black levels seem to be crisp. The Dolby Digital 5.1 track is acceptable though nothing incredible. The dialogue is nice and clear coming from the center channel, the side speakers are used for ambient noises. That said, when we get to the action scenes, and specifically explosions, it’s a fairly lackluster track. 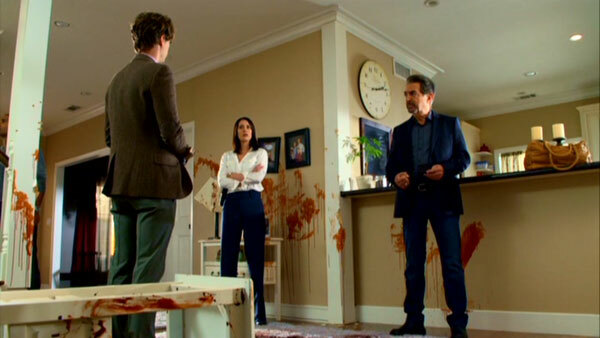 Overall, “Criminal Minds” Season 7 might not the best in the series, but considering the hole the producers had to dig out of with the whole Paget Brewster situation, they did a fine job with a reset buttons of sorts. The season also offers up some nice character development for each member of the team to go along with new cases which, to be honest, can get a bit repetitive at times. Even so, the DVD set includes a nice assortment of features and more than adequate video/audio transfers. 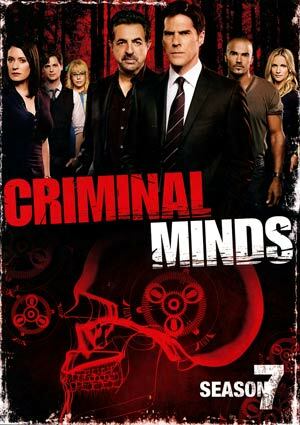 I would like to purchase the Criminal Minds Featurette DVD for Season 7. Could you please direct be to a link where I can purchase this and see a clip? Not quite sure. Depending on the featurette, you could try searching YouTube. Somebody might’ve uploaded it.